New research findings on biochar applications attracted considerable international attention as it offers environmentally sustainable solutions. 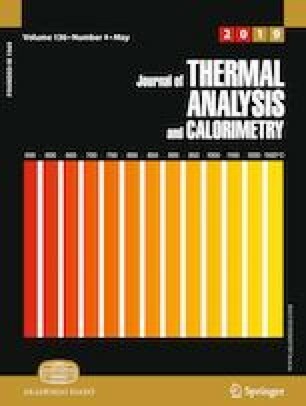 This paper has focused on identifying the most important organo-chemical characteristics of slow pyrolysis bagasse-derived biochar as a function of pyrolysis temperature using proximate and Fourier transform infrared analysis. Therefore, a biochar thermosequence was produced by the pyrolysis of biomasses at 300, 400, 500, and 600 °C in a carbonization furnace. Organo-chemical transformations of biomasses during heating were followed by using chemical, proximate, and Fourier transform infrared (FTIR) analysis. The results can be summarized as follows. (1) Mass loss on ignition and oxidizable organic carbon content, respectively, decreased from 81.13 to 56.22% and 33.31 to 17.05% with increasing pyrolysis temperature from 300 to 600 °C. (2) The molar ratios of O/C, N/C, and H/C tended to decrease with increasing pyrolysis temperature. (3) Aromaticity equivalent (Xc) increased from 2.44 to 2.59 with increasing pyrolysis temperature from 300 to 600 °C. (4) The results of FTIR spectroscopy introduced the 1800–1100 cm−1 zone, related to oxygenated functional groups (OFGs), as region with most marked differences. (5) Results revealed an increase in the point of zero charge (pHpzc) with increasing pyrolysis temperature, indicating a decrease in the acidic OFGs and increase in the basic functionality. (6) Total acid functional groups concentration decreased from 9 to 5.8 mmol g−1 (based on Boehm titration) as the pyrolysis temperature decreased from 600 to 300 °C, while total basic functional groups concentration increased from 0.8 to 4.1 mmol g−1. (7) The cation exchange capacity, determined using NH4+ exchange, increased from nearly 18 to 105 cmolc kg−1 biochar as the pyrolysis temperature increased from 300 to 600 °C. In general, biochar produced at low temperature (< 500 °C) may improve nutrient availability and crop productivity in acidic and alkaline soils and also be suitable for removal of inorganic pollutants, whereas high-temperature biochar (≥ 500 °C) may enhance long-term soil carbon sequestration and also be suitable for removal of organic pollutants. The authors acknowledge financial support from the Department of Soil Science, College of Agriculture, Shiraz University, Shiraz, Iran.